We called it "The Ultimate"
The best holster is the one you will carry everyday. 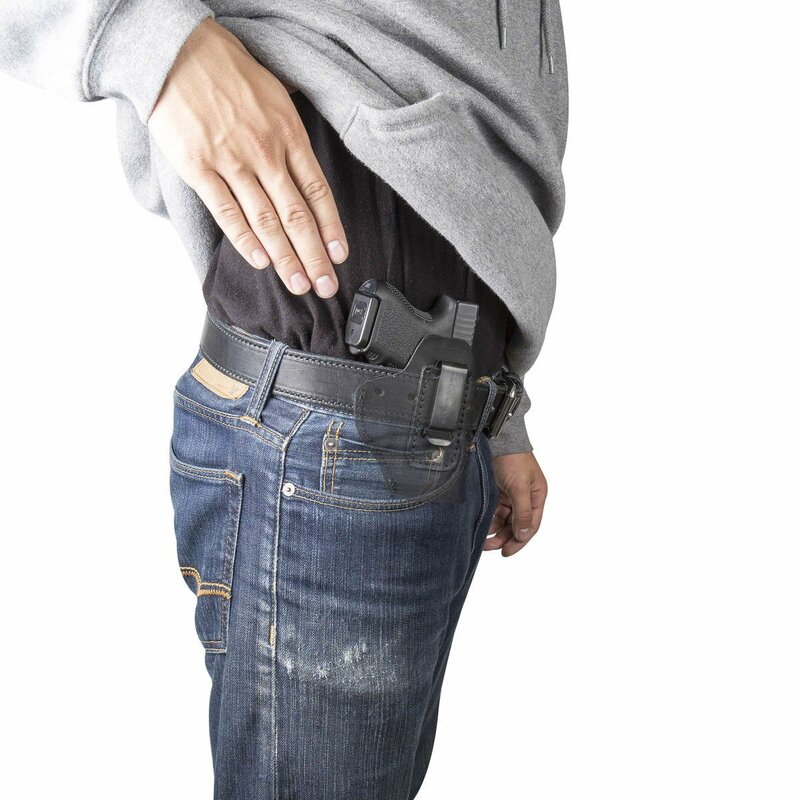 It may not look like much but when it comes to a concealed carry holster, that is the idea! 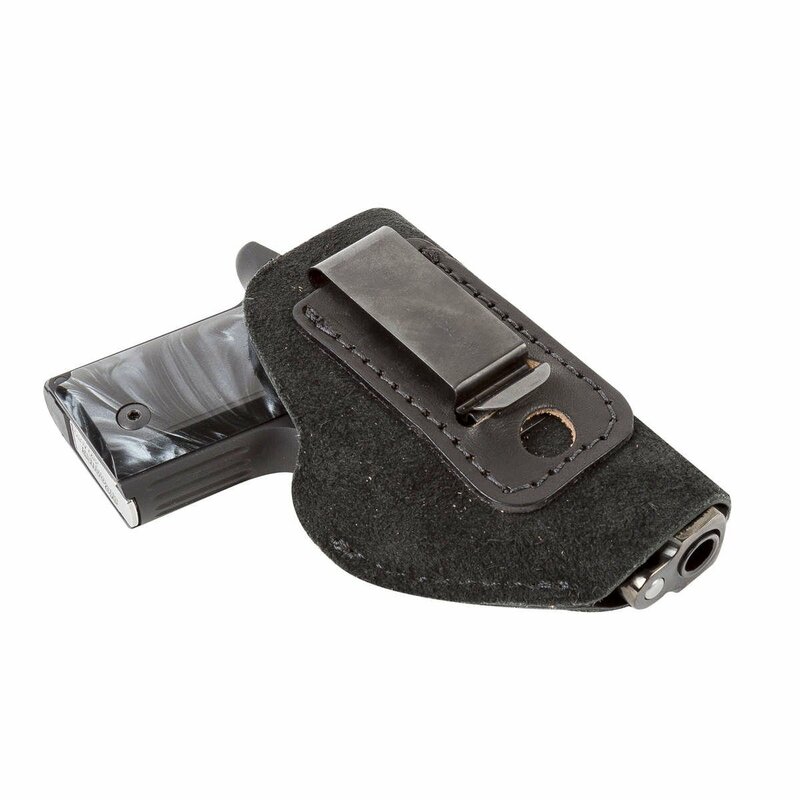 The Ultimate Suede holster has an ultra low profile to minimize printing and to maximize comfort. 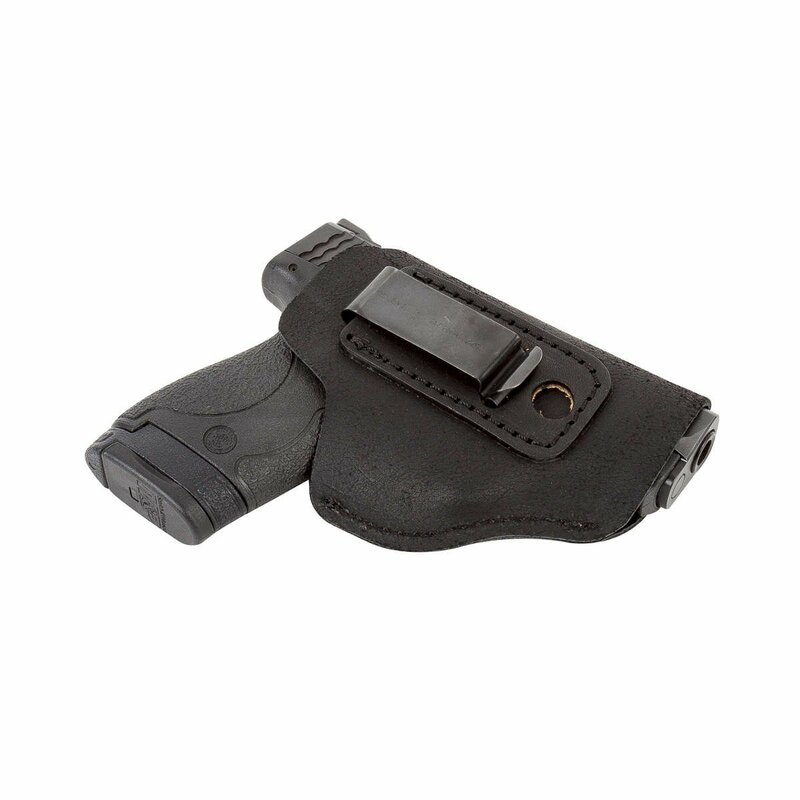 The best holster is the one that you are going to carry everyday, and this one is perfect for every occasion. 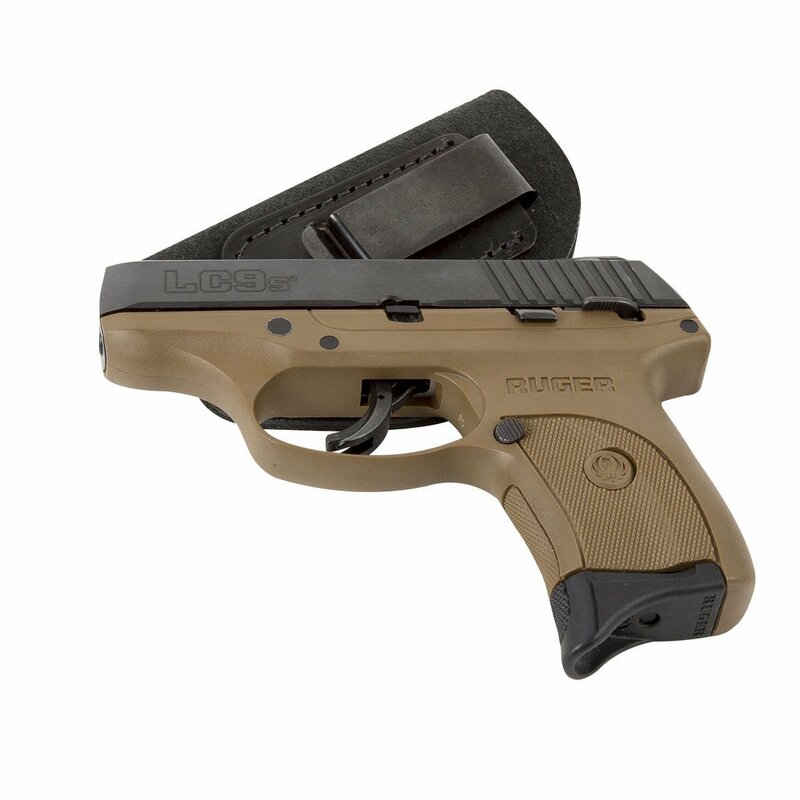 The thin suede leather keeps you cool and comfortable and provides nothing more than the minimum needed to keep your firearm protected and ready for action at a moments notice. This wasn't someone we paid to review it or someone we know, just a happy customer who wanted to let the world know! 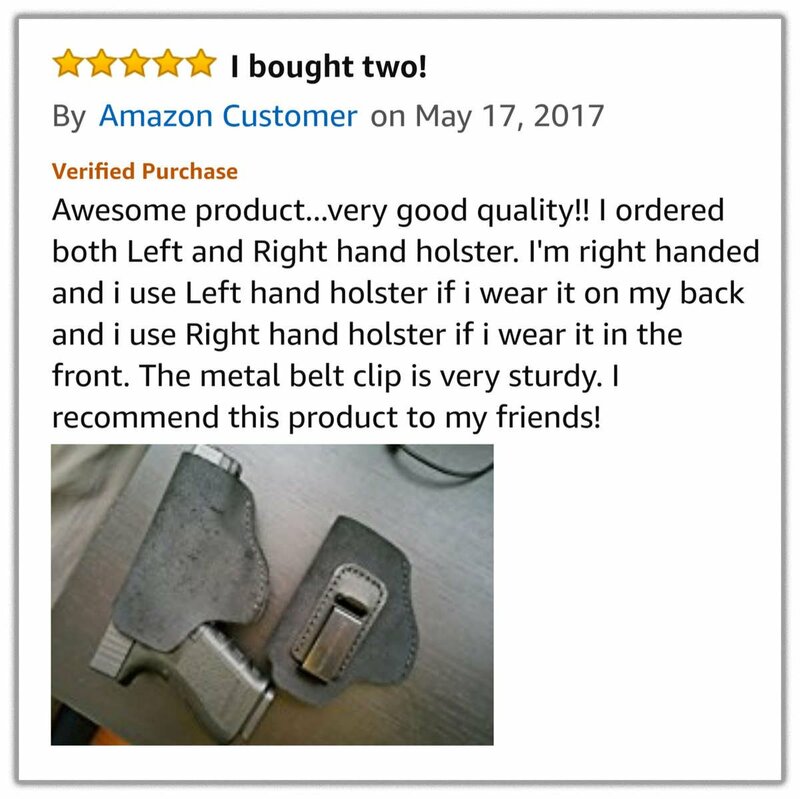 This Amazon Customer is a fan! You know it must be a good value if he bought 2 of them! John N. has had it for 6 months and he says The Ultimate Suede Holster is his "go-to"
Still not convinced? Did I mention The LIFETIME WARRANTY? 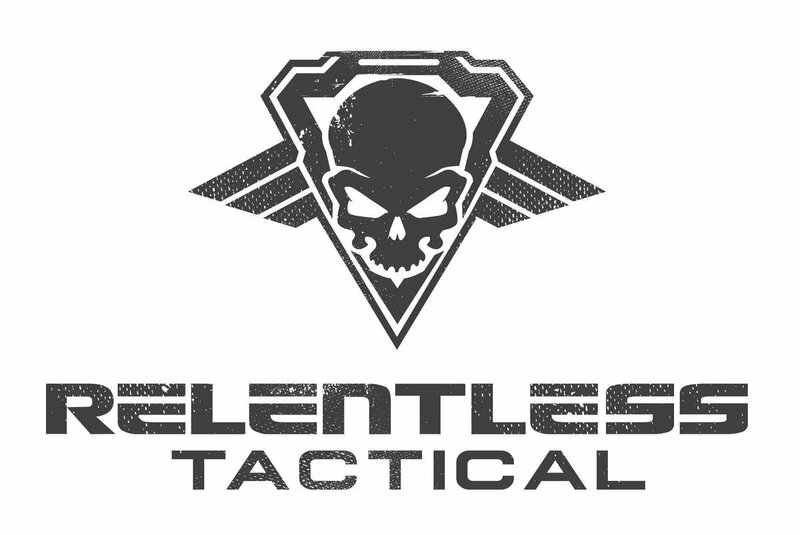 "All Relentless Tactical products are designed and manufactured to last a lifetime. All Relentless Tactical leather products are warranted to the original owner against manufacturing defects in materials and workmanship for the lifetime of the product. Any original, unaltered and unmodified product which fails will be refunded, replaced or repaired at our discretion." I know what you are thinking..."Made in USA and a Lifetime Warranty? 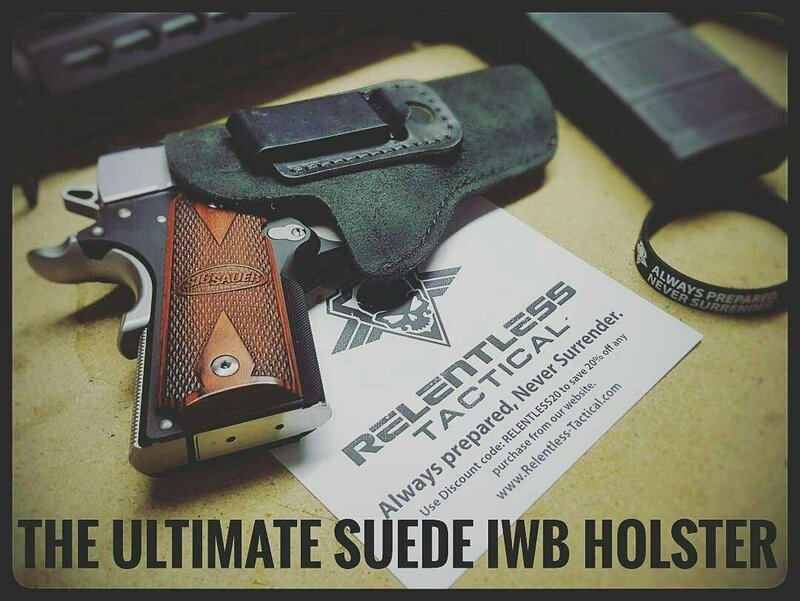 It must be expensive"
You can get your hands on The Ultimate Suede Holster for only $24.99! That's right, less than 25 bucks! We even cover the shipping! Don't Wait! A Deal this good won't last forever! How can we offer an American Made Holster with a Lifetime Warranty at this price? We cut out the "middle man"
You know that you have to pay for quality. 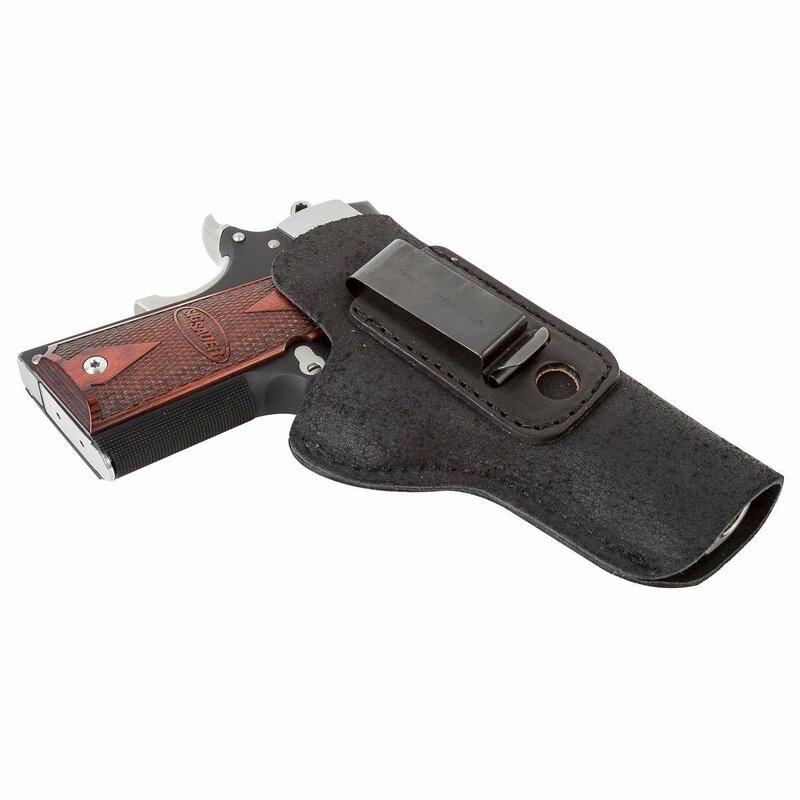 Usually, high quality holsters and leather goods are extremely expensive. Even more so when you add in the Lifetime Warranty. Relentless Tactical is able to offer this holster at an unbeatable price because we decided to sell directly to our customers and cut out all of the middle men. 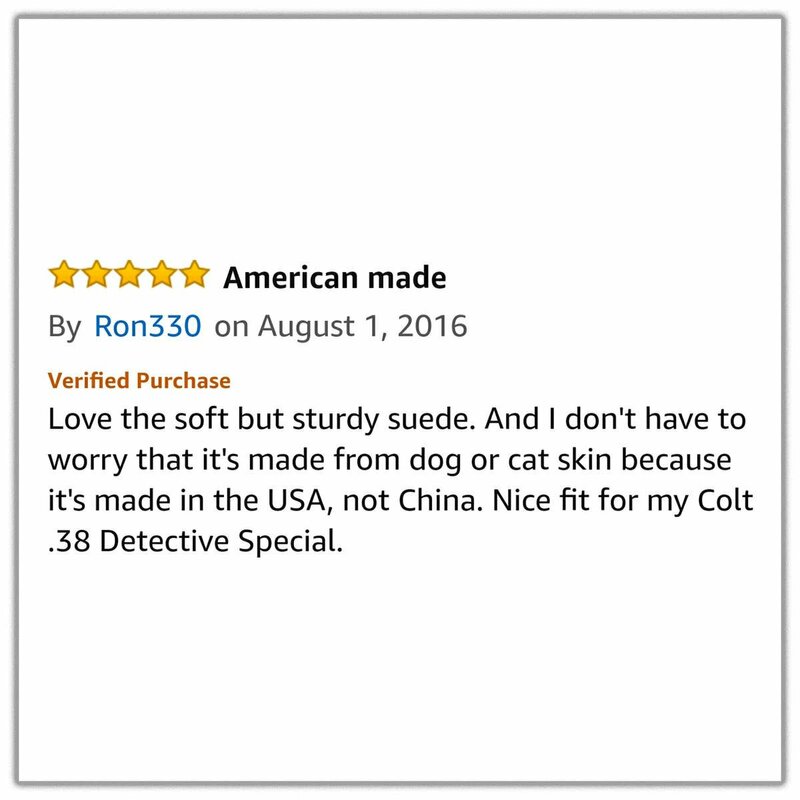 We sell online direct to our customers and that allows us to offer the lowest prices you can find on an American Made holster. 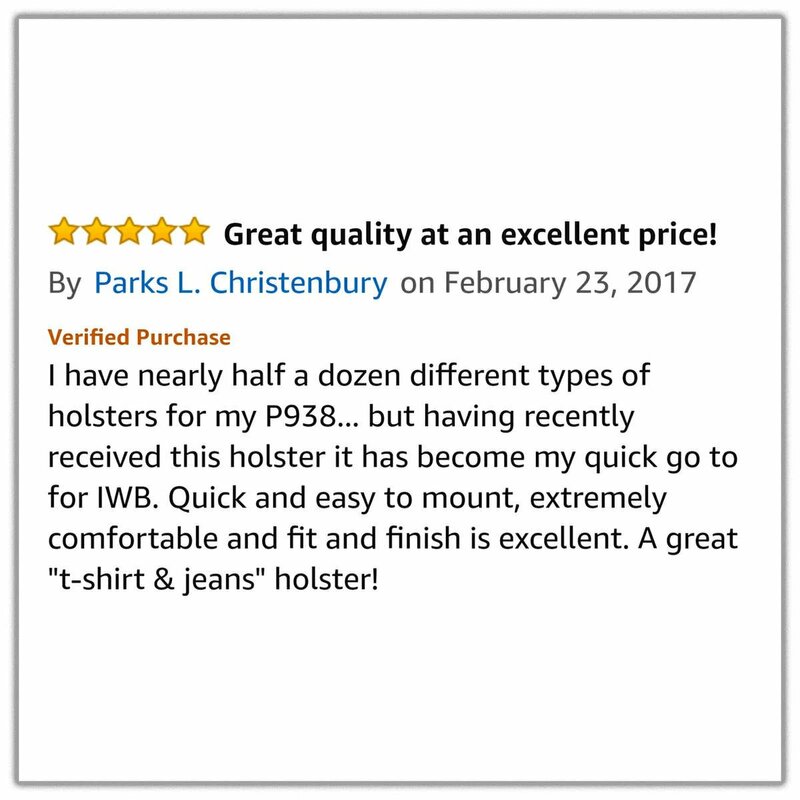 You may find a cheaper holster but you can bet that it is Cheap Chinese Junk! literally hundreds of different guns. We have a holster to fit almost every concealable handgun on the market. You can use our holster search to see what will work for yours if your isn't listed below. Fits most .38 Special or snub nose revolvers including all S&W J-Frames (Model 60, 440, 638, 640, etc. 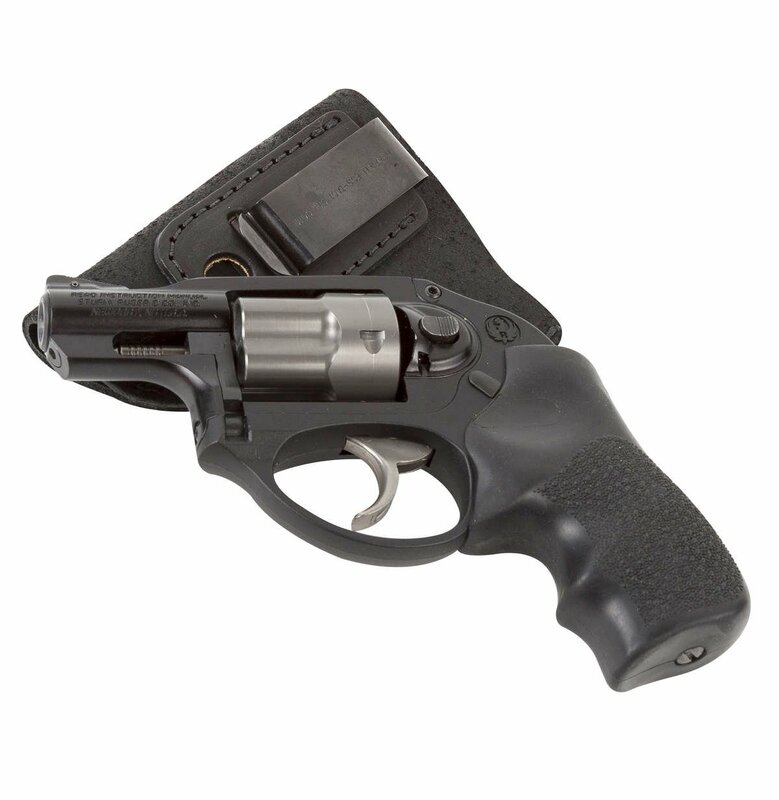 ), Ruger LCR, S&W Bodyguard Revolver, Taurus Model 85 and Charter Arms. Fits most any 1911 model gun including Colt, S&W, Kimber, Remington, Ruger, Sig Sauer, Wilson Combat and more. Fits Kahr CM9 /MK9, P380, P9 Kel-Tec P-11, PF-9, Kimber Solo Carry , Ruger LC9, Sig Sauer P938 and similar sized. Fits most small .380 ACP's including Ruger LCP, S&W Bodyguard.380, Bersa Thunder .380, Sig Sauer (P238, P290), Walther PPK/S and more. 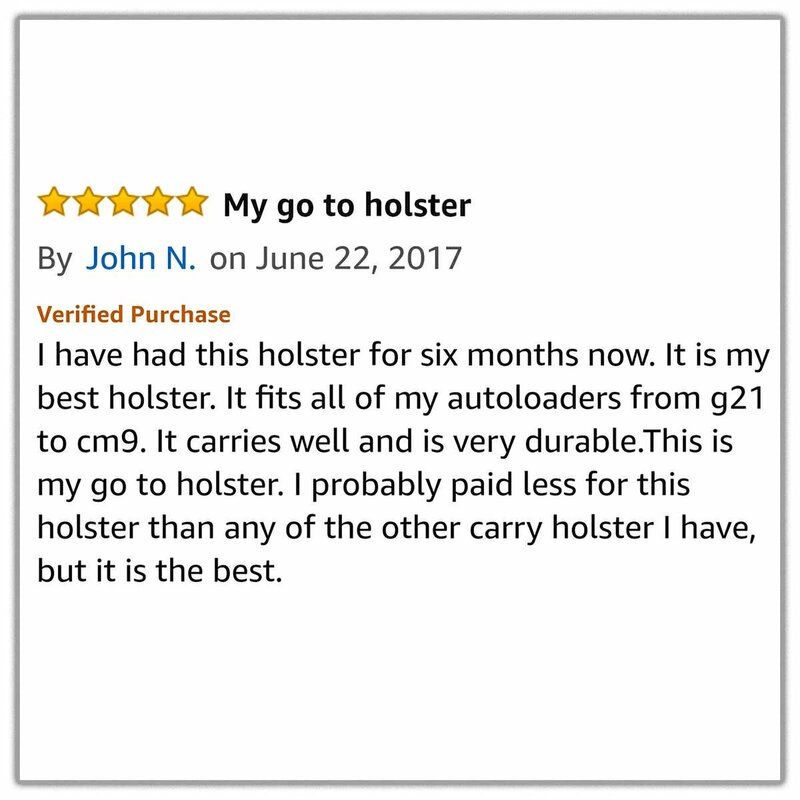 Click here for our holster search. The J-Frame model fits most .38 Special revolvers including all S&W J-Frames (440,640, etc. ), Ruger LCR, S&W Bodyguard Revolver, Taurus Model 85 and Charter Arms. The 1911 model fits most any 1911 model gun including Colt, S&W, Kimber, Remington, Ruger, Sig Sauer, Wilson Combat and more. The .380 model fits most small .380 ACP's including Ruger LCP, S&W Bodyguard.380, Bersa Thunder .380, Sig Sauer (P238, P290), Walther PPK/S and more. The Medium Frame model fits Kahr CM9 /MK9, P380, P9 Kel-Tec P-11, PF-9, Kimber Solo Carry DC, Ruger LC9, Sig Sauer P938 and similar sized. Sign up for our Newsletter and be among the first to hear about new products and special discounts! We will never sell your email address. We hate SPAM too! 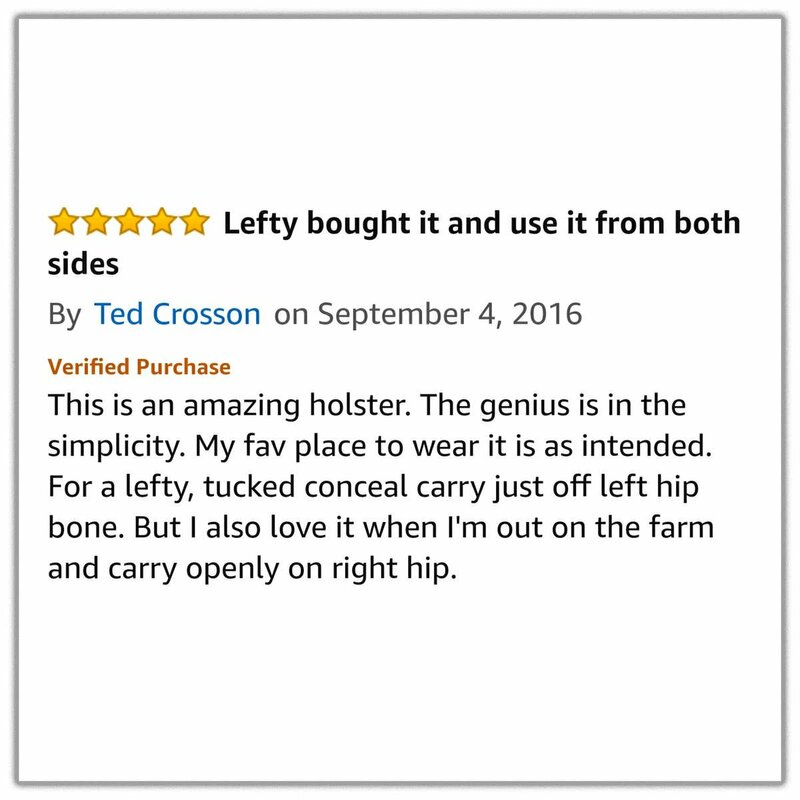 Everyone is talking about this American Made Holster! 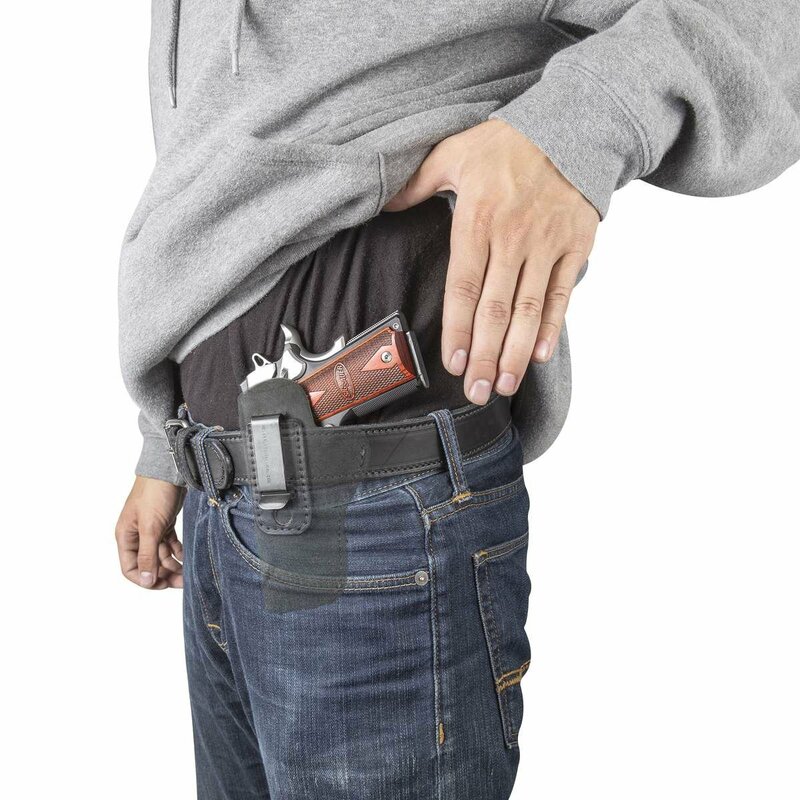 The best holster for you is the one you will carry everyday. You know that you have to pay for quality. Usually, high quality holsters and leather goods are extremely expensive. 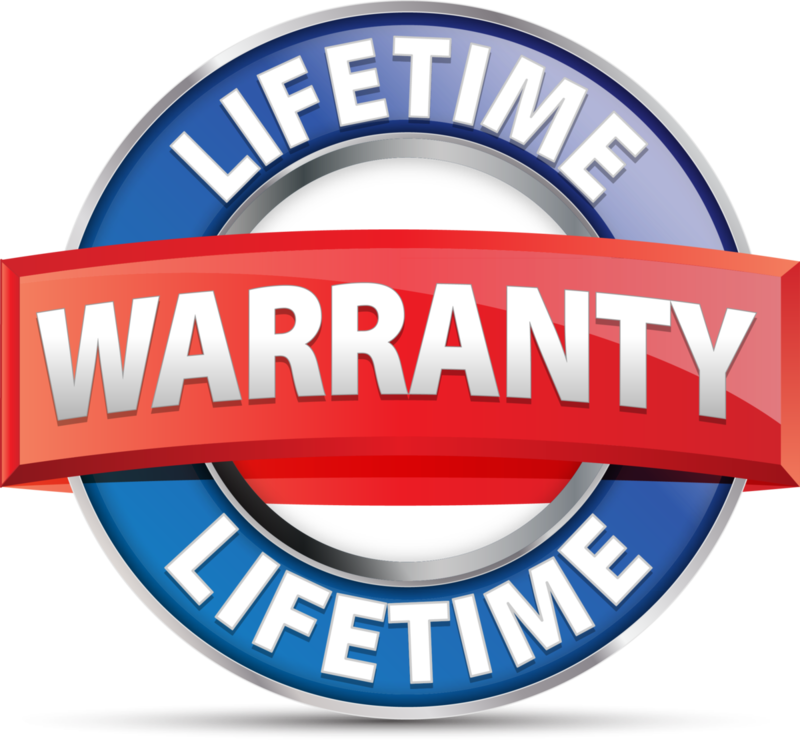 Even more so when you add in the Lifetime Warranty. Relentless Tactical is able to offer this holster at an unbeatable price because we decided to sell directly to our customers and cut out all of the middle men. We sell online direct to you and that allows us to offer the lowest prices you can find on an American Made holster. 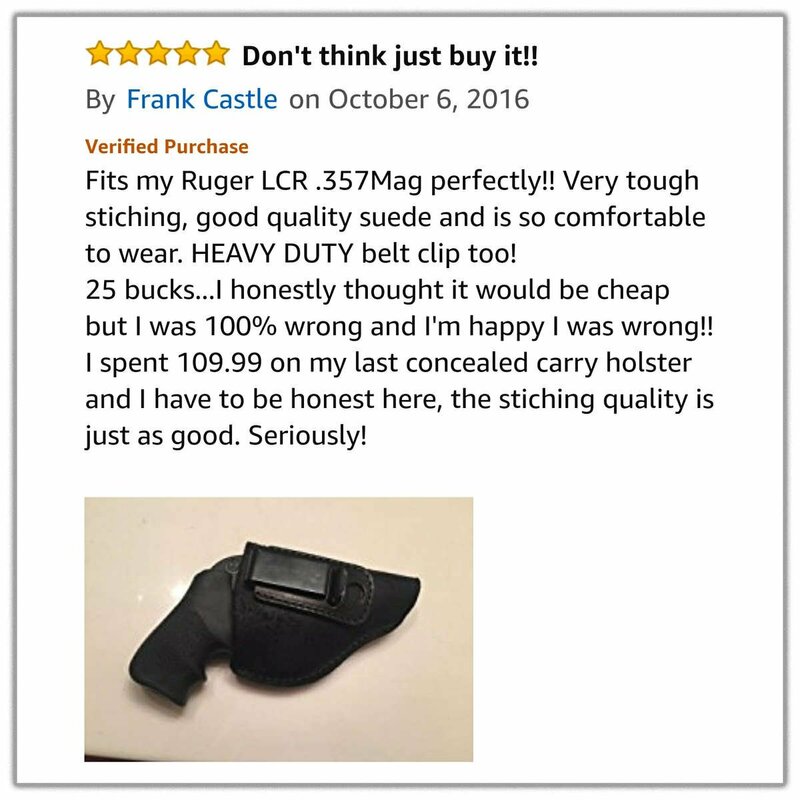 You may find a cheaper holster but you can bet that it is cheap Chinese imported nylon. 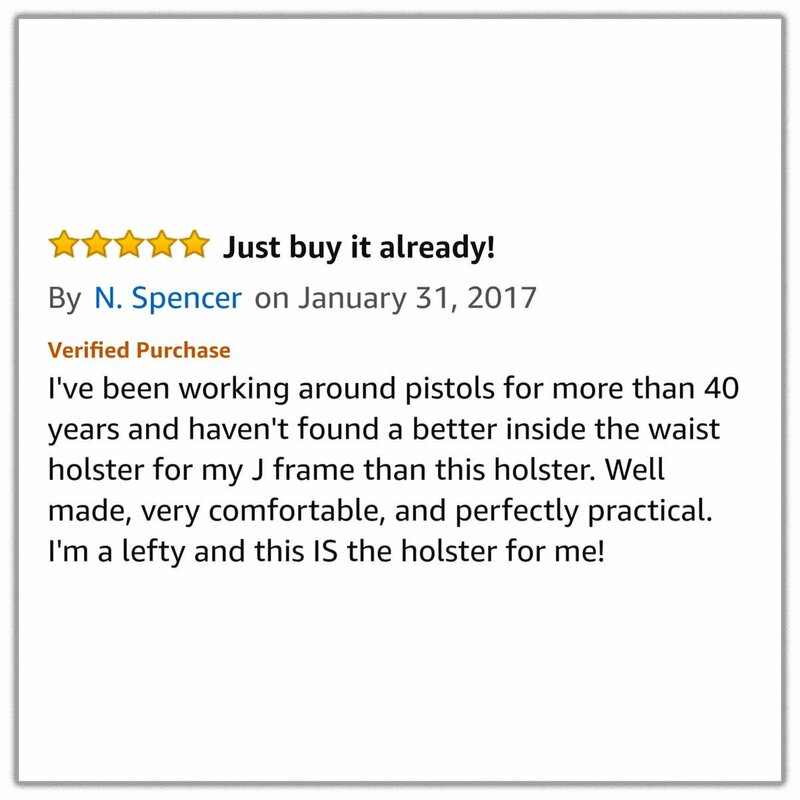 You can use our holster search to see what will work for yours if your aren't sure.